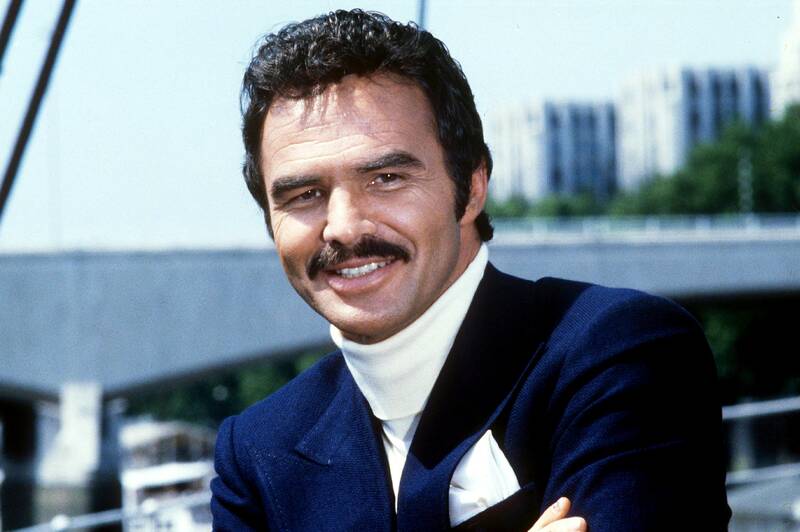 Turner Classic Movies (TCM) announced today that renowned actor Burt Reynolds is set to attend the 2016 TCM Classic Film Festival, taking place in Hollywood April 28 – May 1, to participate in a sit-down interview about his life and career. In addition to the interview, Reynolds will be on-hand to introduce a screening of The Longest Yard (1974), for which he received a Golden Globe® nomination for Best Actor. The interview will be taped Saturday, April 30 in front of a live audience of festival pass holders at The Ricardo Montalbán Theatre. Each year, the TCM Classic Film Festival features an extended interview taped in front of a live audience for telecast on TCM under the Live from the TCM Classic Film Festival banner. In 2010, the first TCM Classic Film Festival welcomed two-time Oscar® winner Luise Rainer, who was 100 at the time. In 2011, Peter O’Toole was the featured guest, followed in 2012 by actress Kim Novak. In 2013, Oscar-winning actress Eva Marie Saint participated, followed by Academy Award®-winner Alan Arkin in 2014, and last year, Academy Award®-winner Sophia Loren was featured as was Norman Lloyd. Reynolds joins an already exciting roster at this year’s festival, including previously announced appearances by director John Singleton for the 25th anniversary screening of his coming-of-age classic Boyz N The Hood (1991), Carl Reiner with an extended conversation and screening of Dead Men Don’t Wear Plaid (1982) Elliott Gould with screenings of his Golden Globe nominated performance in M*A*S*H (1970), The Long Goodbye (1973) and Eva Marie Saint who will be on hand to introduce a screening of the political comedy The Russians Are Coming The Russians Are Coming (1966). Actor Stacy Keach will be discussing John Huston’s gritty look at the world of small-time boxing in Fat City (1972) and French actress Anna Karina will be introducing Band of Outsiders (1964), Jean-Luc Godard’s riff on gangster films. Tickets and passes. Burt Reynolds is an Academy Award nominated and Golden Globe winning actor and director. In addition to receiving an Oscar nomination and winning the Golden Globe Award for Boogie Nights (1997), Reynolds was also honored by The New York Film Critics, The Los Angeles Film Critics, The Chicago Film Critics and The National Society of Film Critics with Best Supporting Actor awards for his memorable role in that film. Some of his more recent film works include Hamlet & Hutch (2014), Elbow Grease (2015), The Shadow Fighter (2016) and the web series Hitting The Brakes, debuting this spring. His feature films include Deliverance (1972), The Longest Yard (1974), Gator (1976), Hooper (1978), The End (1978), Starting Over (1979), Sharky’s Machine (1981), Breaking In (1989) and, of course, Smokey and the Bandit (1977). He also directed four feature films. Reynolds has also enjoyed an auspicious career on television, as an actor, director and producer. Among his finest endeavors in this medium is the hit series Evening Shade (as star, executive producer and, more often than not, director). For this series, he won his ninth People’s Choice Award as Favorite Male Performer in a New Television Series, the 1991 Emmy Award for Best ­Performance in a Comedy and the Golden Globe Award for the same category. His additional television credits include Riverboat, Gunsmoke, Hawk, Dan August and B. L. Stryker. Additionally, he hosted the Academy Awards Telecast, The Tonight Show, Saturday Night Live and a series of specials titled Burt Reynolds’ Conversation With. He also starred in, directed and produced the CBS television movie The Man from Left Field (1993). He also directed and starred in TNT’s most ambitious project: Hard Time, a 6-hour movie thriller trilogy. Reynolds made his Broadway debut in Look, We’ve Come Through with director Jose Quintero. In addition, he has directed eight productions, and starred in two, at the Jupiter Theatre, which he founded in Jupiter, Florida. He also appears in his one-man show An Evening with Burt Reynolds. His numerous achievements have been recognized by being named America’s Favorite All Around Motion Picture Actor (People’s Choice Award) for a record six consecutive years; the Most Popular Star for five years running; Star of the Year (National Association of Theatre Owners); and # 1 Box Office Star for five years in a row, still an unmatched record. Burt Reynolds commitment to his profession and devotion to education can perhaps be best exemplified by the program he created to give college students scholastic credit and wages for their work while ­obtaining an education at the Burt Reynolds Institute for Film & Theatre located in Tequesta, Florida.